Nothing ruins a workday like a technological malfunction. Luckily, if your copier breaks during the middle of a long day at the office, the friendly, prompt experts at Laser Line in Jessup, MD, have you covered. They know how stressful something like a broken copier can be and want to make sure you’re never stuck in a bind. Laser Line offers superior-quality laser printer and copier repair services that will ensure that your machines always run like they should. They guarantee a four-hour response time for all repairs, so you can get back to work as soon as possible. Plus, they’ll come to you (unless requested otherwise) so the process doesn’t burden your day. Not only will they speedily and effectively repair your copier, the Laser Line staff will take preventative maintenance steps and offer you advice to keep your copier working for as long as possible. Their technical support and logistic teams are also fully equipped with the industry knowledge necessary to offer you inventory and supply line management advice to ensure that your large-scale copying moves as smoothly and efficiently as possible. 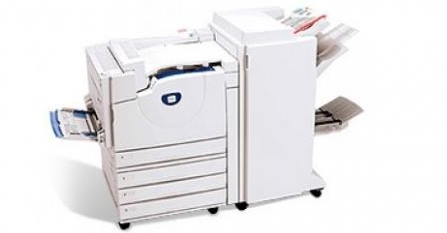 In addition to their expert copier repair services, Laser Line offers an extensive selection of the most cutting-edge laser printers and copiers on the market, including products from brands like HP, Xerox, Canon, IBM, and more. They also offer a device recycling program so your used technology can be disposed of safely, efficiently, and in an environmentally friendly way. The next time your copier breaks down, contact Laser Line's printer and copier experts for help. They'll be to your workplace and have you up and running again in a matter of hours. For more information, call Laser Line today at (410) 636-1700 or visit their website.